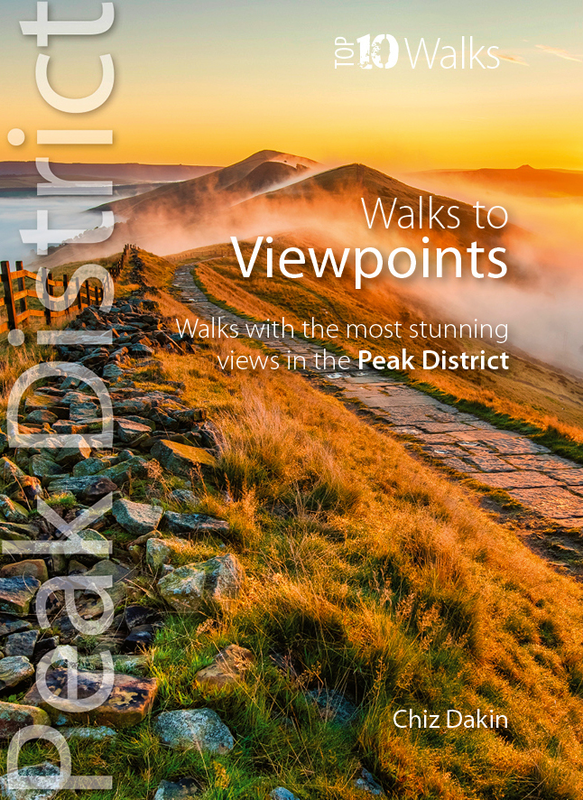 This handy pocket size book will take you on short circular walks to the ten finest views and viewpoints in the Peak District. Views are why many of us venture into the hills and countryside in the first place. Nothing beats a sweeping view from a moorland edge or hill, or an arching panorama over a pleasant valley. Sometimes it’s just the simple pleasure of the patterns of light and shade, the textures and colours of the woodland or the flowing beauty of the stream we’re walking beside. But typically there’s a feeling that you’ve earned a great view through sheer effort – even if the easiest approach had been taken to reach it. Perhaps that’s why so many of the great Peak District views are atop minor summits, at moorland edges, or overlooking deep valleys.